Here are some frequent questions we get about air duct debris, and the importance of removing dust, dirt and debris from HVAC systems and air duct ventilation shafst. Where do you offer air duct cleaning services? Our Nashville location offer air duct and HVAC duct cleaning – for all the surrounding areas of Middle Tennessee and satellite suburbs of Music City. However, locations in other cities may not offer this service. Why do I need my air ducts cleaned? Dust and particles always manage to find a way to land in your air duct system. As such – once your air cuts on, all of the dust and particles that land in your air duct system are blown into the air that you breathe in each day. How often is it recommended to clean HVAC ducts? 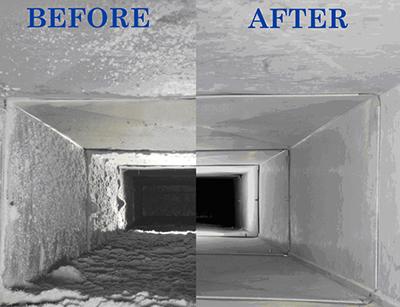 It is recommended to clean your air ducts every 7-8 years or sooner if you experiences problems with air quality. However, most people wait until they are having some type of allergy issue before they call… which isn’t recommended. If you’re unsure when the last time your air ducts were cleaned – give us a call for a free estimate. I just bought a new house, should I have my air ducts cleaned? New construction houses are the worst! Most construction workers do not cover the vents and with building houses comes drywall dust, sawdust, and trash. Open the vents up and look down you will be amazed at the dirt and debris you will find in them. We strongly recommend our Air Duct Cleaning Service for all new homeowners. If you have a question that here – or you are ready to get those filthy air ducts cleaned by a professional – then call us at 615-902-0002. We offer INSTANT FREE ESTIMATES for all our carpet and air duct cleaning services. Professional air duct & HVAC duct cleaning is also available from Drycon in Knoxville, Tennessee. New Customer? Just call for a discount! We always offers 15% off all services to new clients. For information on our carpet cleaning services in Nashville, please visit our homepage.